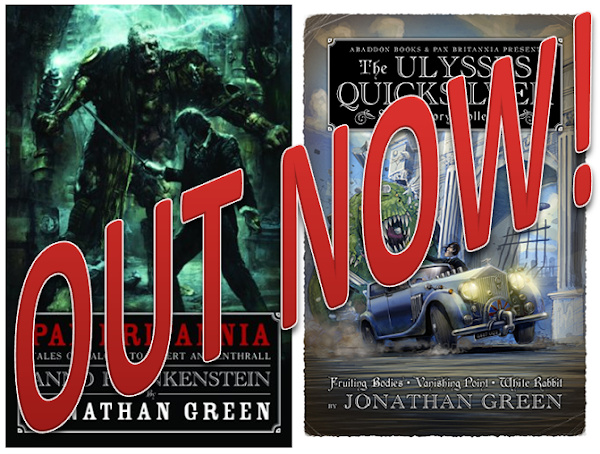 Over the last couple of months there have been three Ulysses Quicksilver releases - The Ulysses Quicksilver Omnibus, Anno Frankenstein and The Ulysses Short Story Collection. And earlier titles such as Dark Side and Blood Royal have been getting a fair bit of interest too. 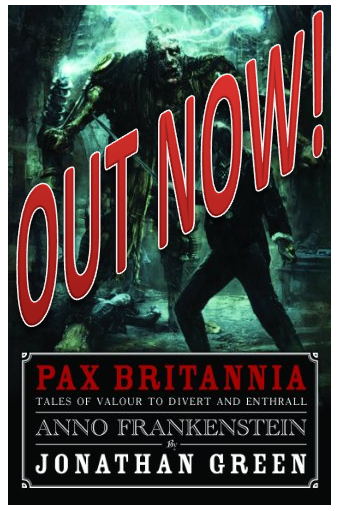 Anyway, I'm very pleased to say that Anno Frankenstein has been reviewed in the latest issue of SFX magazine (#211, the one with Captain America on the cover). The reviewer only gave the book three stars, and I'd be lying if I said I wasn't disappointed (I was hoping for a four at least). But to my mind three stars does tell you something - that you can write; that you can craft a story. 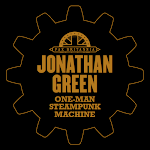 The reviewer's not too keen on all the pop culture references in the book (which have become a bit of a feature of my Pax Britannia titles) but he does say that "It's a gleeful, agreeably paced mash-up" which also highlights another of the features of my books - and that's that they are, at the root of everything, primarily fun. I actually met up with Dave Bradley, editor-in-chief of SFX Magazine, this week, along with editorial assistant Rob Power... as well as the guys and gals of Abaddon Books... and we discussed all sorts of potentially exciting things. Now that I've finished re-writes on another project I'll be able to get the ball rolling on these. But more on that another time. Picture by Dave Bradley. Inane grin by Old Speckled Hen. While we're on the subject of reviews, here are a few more for you. The Ulysses Short Story Collection has earned a couple of five star reviews on Amazon and has also received one of the weirdest reviews I've ever read of my work. It manages to be incredibly positive whilst also being unnecessarily nasty at almost every opportunity. Anyway, you can read it here at Tor.com. Meanwhile, The Ulysses Quicksilver Omnibus has earned a five star review on Amazon.co.uk and another on Amazon.com. 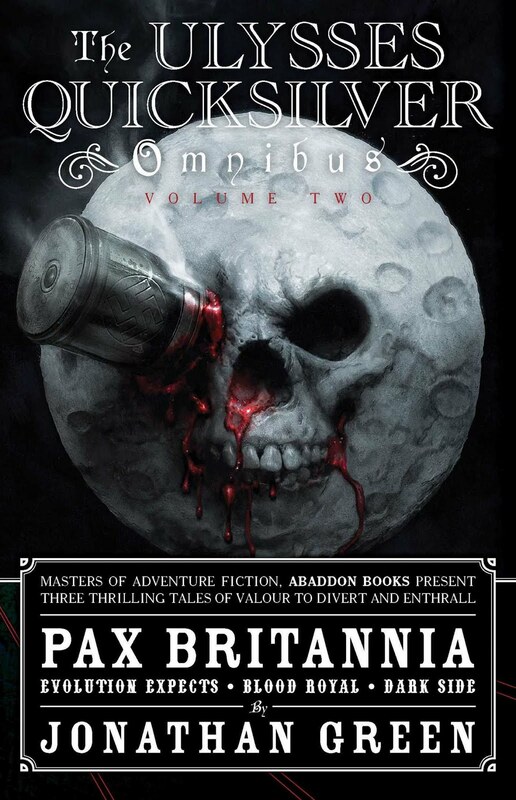 Remember, if you've recently read one of my Pax Britannia books (and more importantly you enjoyed it) you can also post a view via this blog. 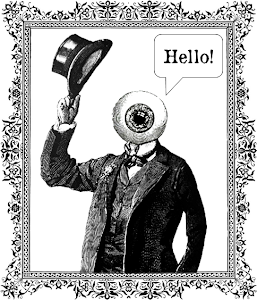 I look forward to hearing from you soon. Dear Mr. Green, any news about the online serialization of Time's Arrow - price and start date - and Al Ewing's Pax Omega? Don't know the price yet but I think the release date for Part 1 is around about 15 October this year.